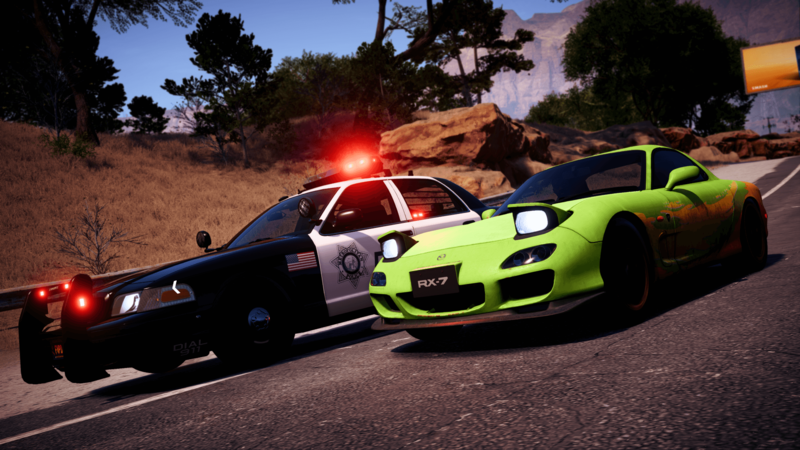 As everyone anticipated the arrival of the Nissan Skyline 2000 GTR in Need for Speed Payback, fans were left surprised, and mostly disappointed, to see developer Ghost Games reuse the Mazda RX-7 for this week’s Abandoned Car. 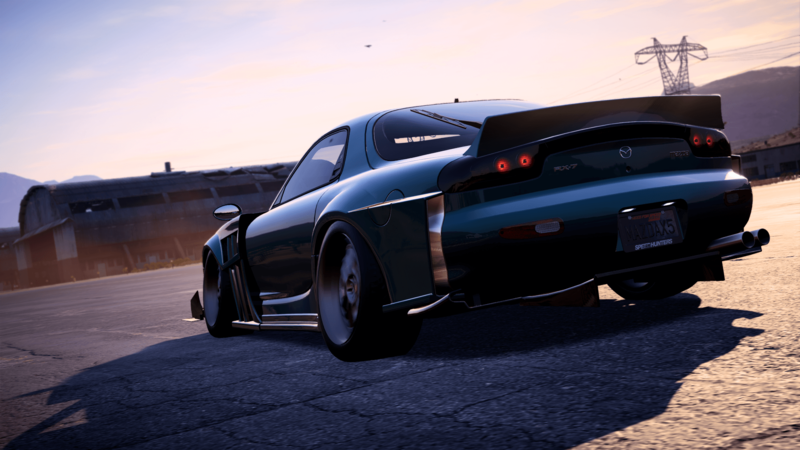 Now the Mazda RX-7 is not a bad car at all, it’s even become one of my favourites in the game, but fans were almost certain we’d see the Skyline GTR this week on count of it being the last unused Abandoned Car to be unlocked. It’s important to note, however, that Ghost Games never announced the car to be available on any specific date. Instead, it was just the presumption everyone had. 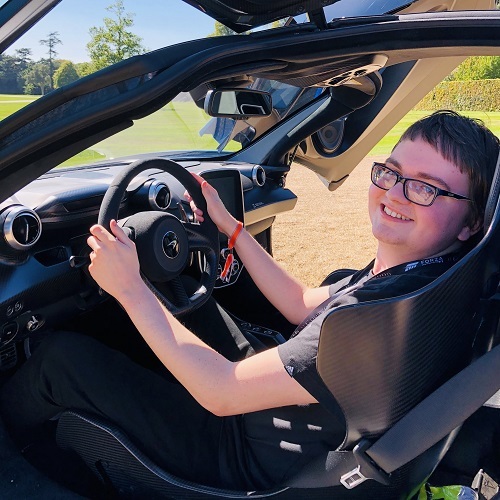 However, there’s no point in complaining – or even hurling ridiculous abuse to developers and EA staff working on the game – as they have provided an explanation as to the car’s whereabouts and why it wasn’t featured in this week’s Abandoned Car rotation. On the Need for Speed Reddit, Ghost Games’ Ben Walke revealed that the Skyline GTR had “an issue” that will be fixed with the next content update for the game – details of which are coming shortly. Anyways, the Mazda RX-7 is more than a worthy replacement and can be discovered in a familiar spot. Find it at the Gas Station in Silver Canyon by the Silver Casino Lodge near the river. You can find its precise location by checking out the map below. 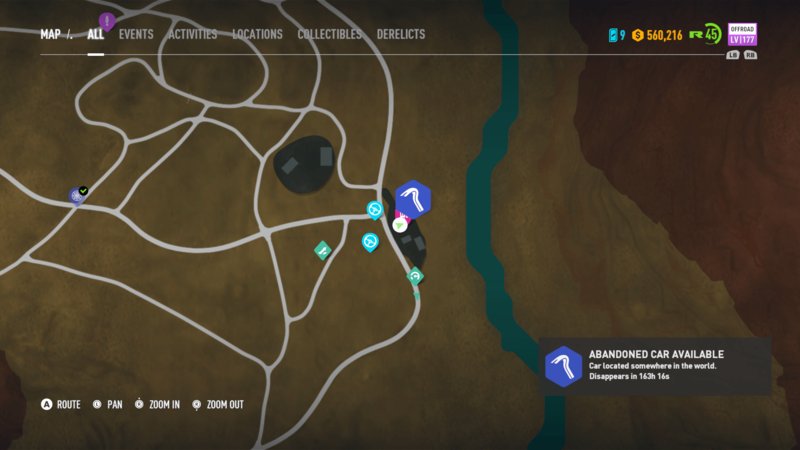 By fast travelling to the Gas Station marked, you’ll instantly spawn by the car and can steal it right away. Otherwise, if you drive there, the game will highlight its exact whereabouts once you come near the proximity of the abandoned vehicle. Once you steal the car, the cops will be alerted to your presence and thus a hot pursuit will begin. As always, you’ll need to escape the police and take the car back to Rav’s Garage in Liberty Desert. Be warned, it’s a lengthy 3-mile chase back to his place, and of course, there’s a few Rhinos awaiting you on the way, too. Drive fast, and don’t slow down for anything. By taking the car back to Rav, it will be yours to drive and customize whenever you desire. You can also purchase it from the other Dealerships in the game for $75,915 of your in-game currency. 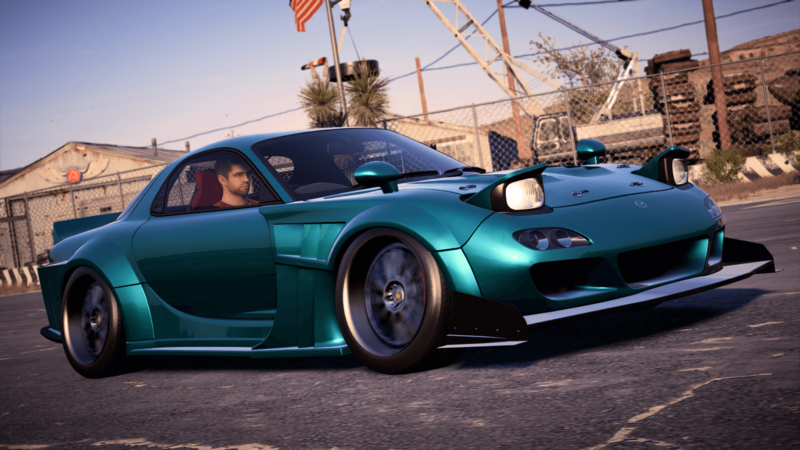 As usual, the Mazda RX-7 has plenty of customization options for you to enjoy as well. 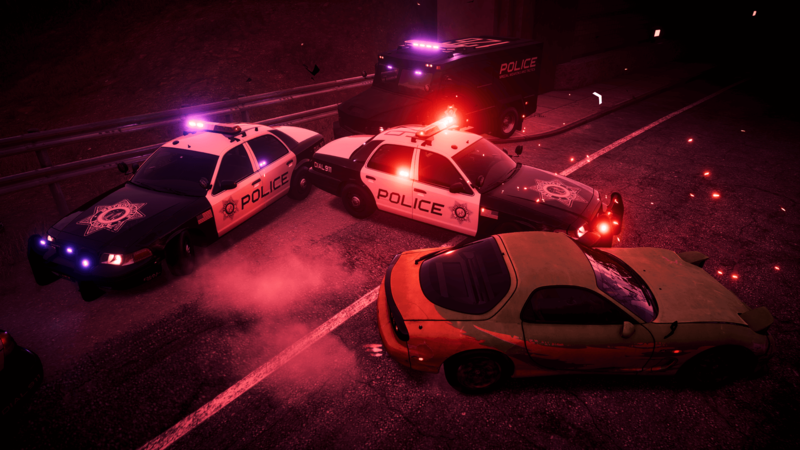 If you already located the car when it first became available in December with the release of the Speedcross DLC, it’s worth finding it again if you enjoy a good cop chase, and if you want another RX-7 in its Race Class at no additional in-game cost. The last Abandoned Car in Need for Speed Payback will be the Nissan Skyline 2000 GTR, which will be available sometime after the next content update drops. We’re not sure if it’ll be ready in time for next week, but we’ll be sure to post a guide for it once it becomes available, so you can track it down, steal it, and add it to your garage. 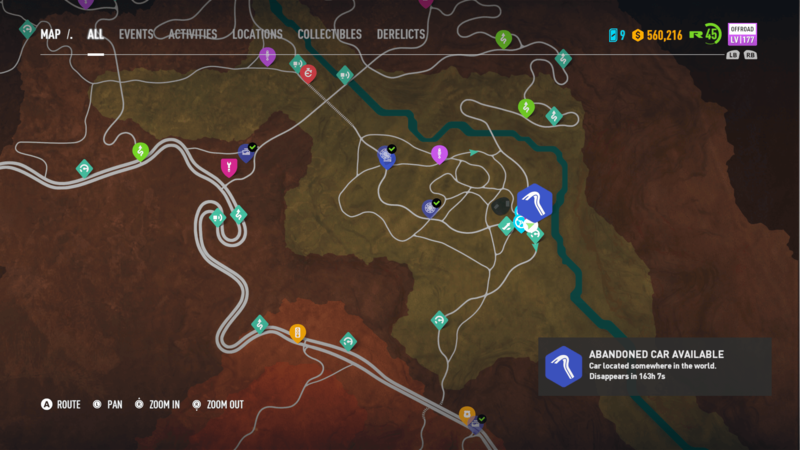 Abandoned Cars in Need for Speed Payback rotate on a weekly basis, giving players the chance to find cars they may have missed out on before. 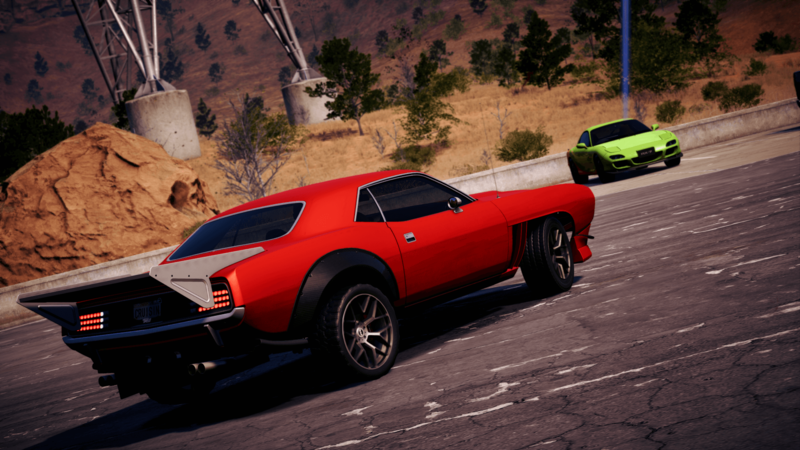 Past cars like the Volvo Amazon P130, Volvo 242, BMW M3 Evolution II E30, and the Plymouth Barracuda will return in future rotations. Until next week, make sure you track down the Mazda RX-7 if you don’t already have one, or if you simply want another.